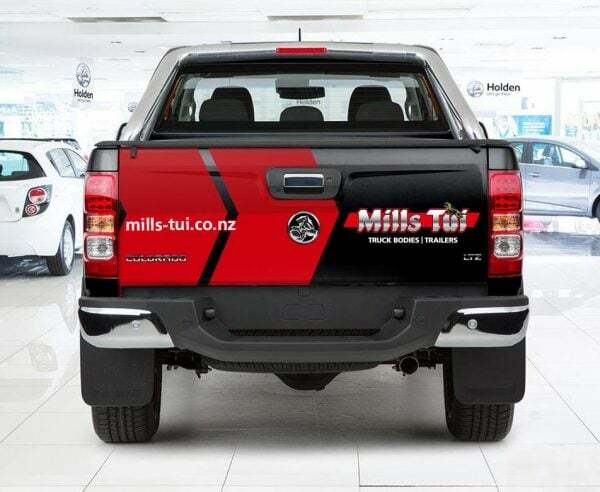 Having recently purchased Mills-Tui, a well-known name in New Zealand heave automotive industry, Dean Purves teamed up with Hart Design to complete a series of graphic design projects from vehicle signage and print advertising to website design. 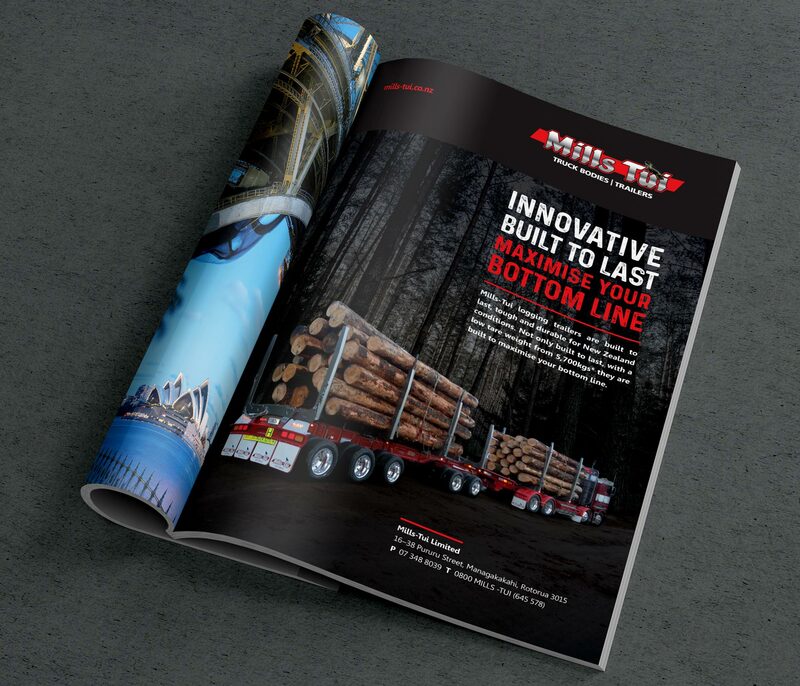 Mills-Tui is a long-standing heavy transport engineering business with a great reputation. 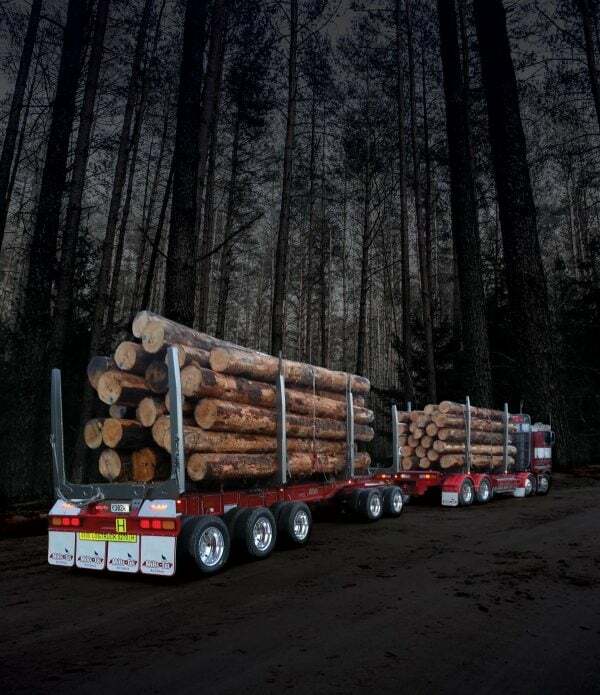 For more than forty years the company has specialised in designing and manufacturing a full range of heavy transport truck and trailer units, firefighting and other related emergency vehicles. 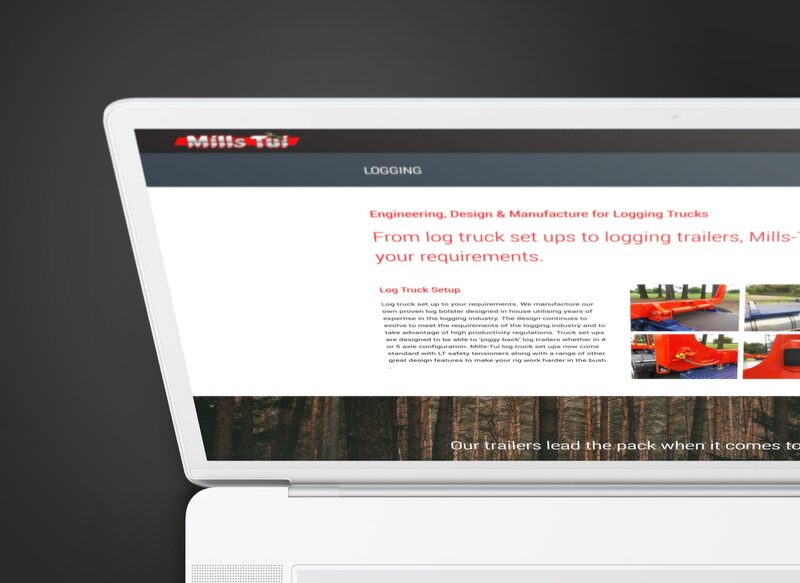 Mills-Tui have maintained a strong reputation for heavy automotive engineering over many years and through a number of ownership changes. And while their brand is well-known in the industry, their graphic design ‘housekeeping’ needed work. Our first task was to tidy up their logo and supply a full suite of professionally prepared files for use across signwriting, embroidery as well as office documents. New owner Dean Purves really wanted to stand out of the North Island highways. 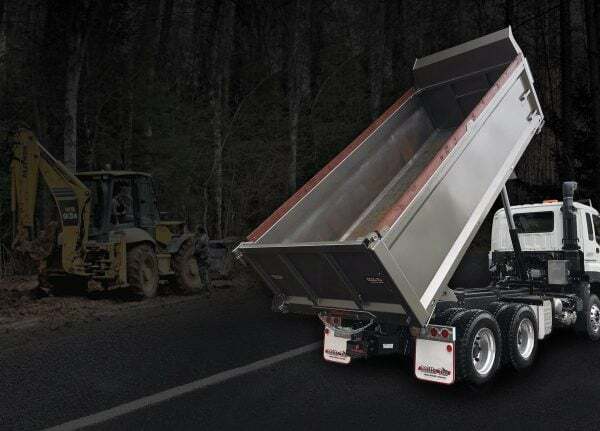 We’ve created a bold design for their utility vehicles. 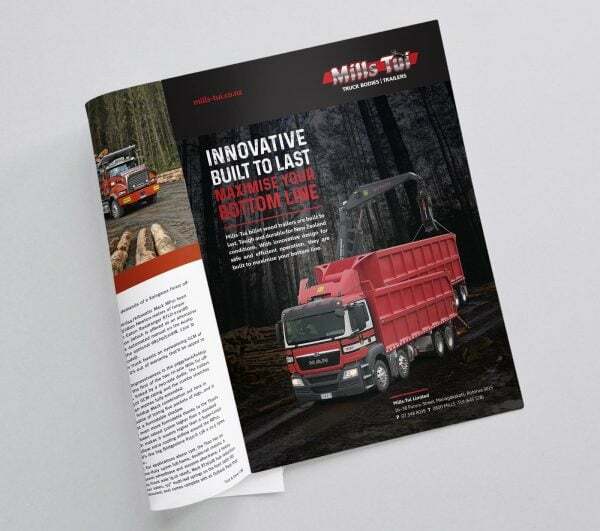 And using sime supplied photos of trucks sitting in their yard, some stock images and a little Photoshop magic we’ve created some dramatic imagery for use in their print magazine advertising. Learn more about our graphic design service here. 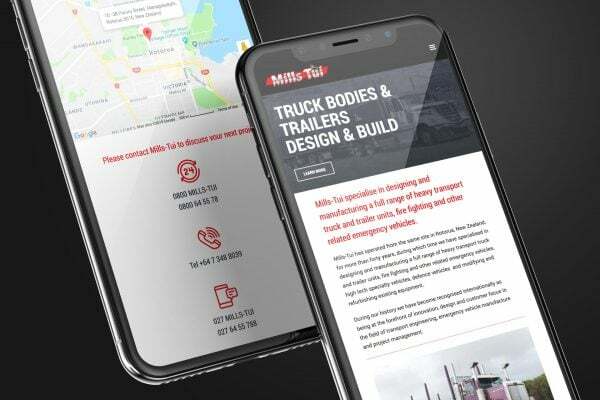 The previous Mill-Tui website was due for a revamp – at four years old the site no longer represented their business accurately. And from a design point of view, it was a little clunky. 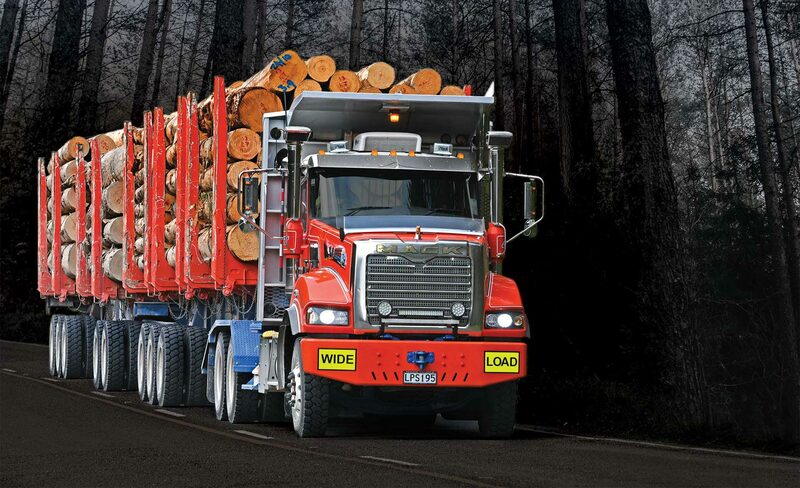 Not the image that New Zealand’s foremost heavy automotive engineering company would want to promote. 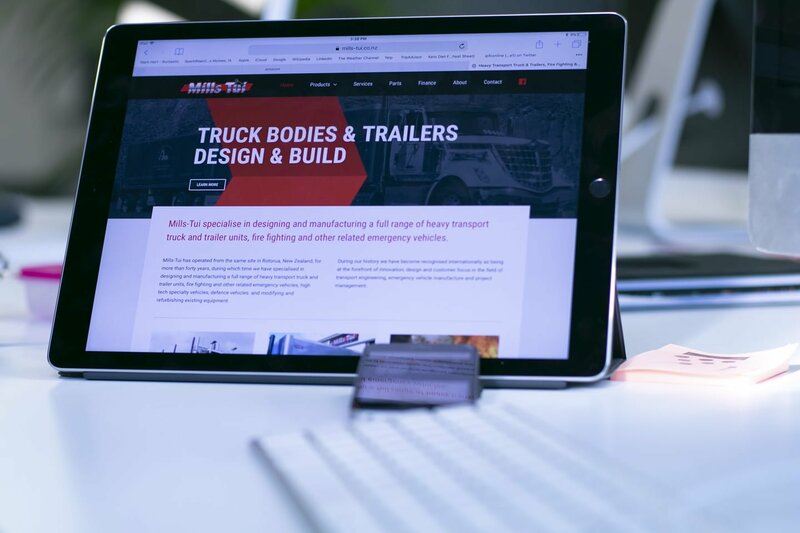 Our team of web designers set about putting some polish on their online presence with a new WordPress website. Want to refurbish your brand? It doesn’t have to be a complete redesign to breathe new life into an established brand. We’d love to show you what we can do for you.